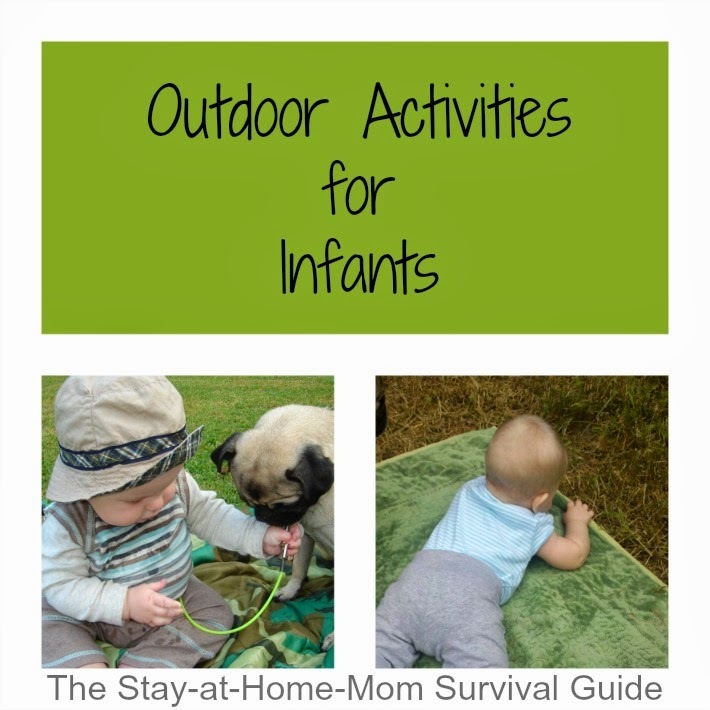 It can be intimidating to take an infant outdoors for a little play time, but with a few simple activities and the right weather, you can get your little one exploring outside! I am always looking for ways (on the nicer days) to get outside with my kids.It can be a little stifling to be indoors all day long, and most children do much better during dinner prep time if they have burned off some energy outside. 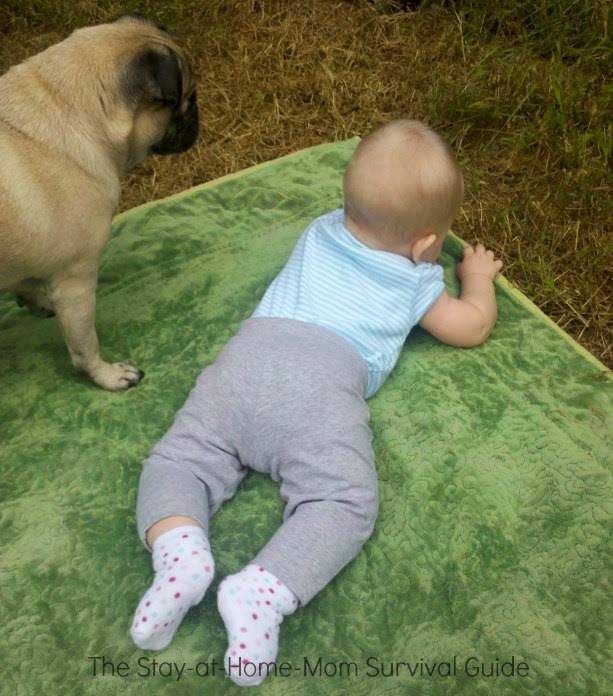 Even infants need to be getting their own version of exercise-tummy time, practice sitting, grabbing and reaching. Second, lay a blanket on the grass and then lay or sit your infant on the blanket near the edge so they can touch the grass. If you do not have a grassy area, use a couple of thicker blankets on a sidewalk. Be sure to sit with your child if they are not sitting independently on their own. The textures of the grass, sidewalk and any leaves that you can gather can be really interesting to your child. Starting with a 4-6 month old, my child would just lay on the blanket (getting in a little tummy time) and touch the blades of grass. If you treat your lawn with fertilizers, be cautious with the use of this activity. 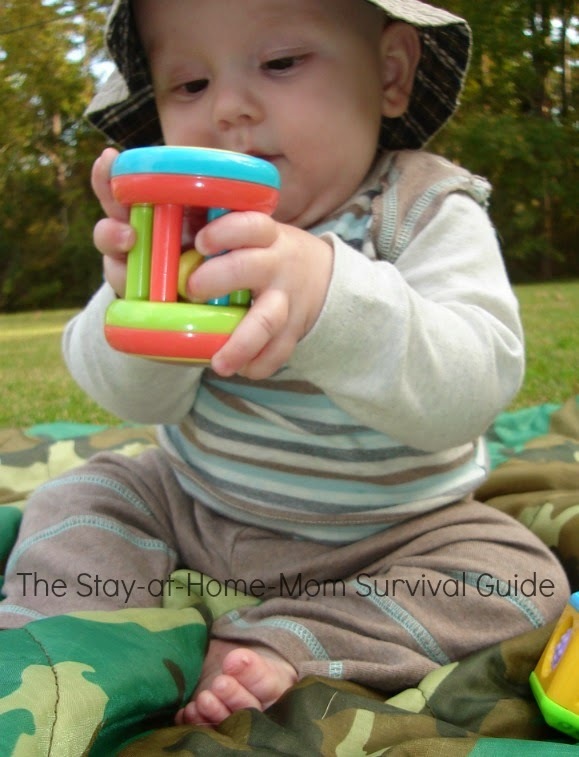 To help extend this activity for infants who naturally have short attention spans, introduce a toy when your child begins to get a bit irritated. Often the introduction of a toy can extend their desire to stay outside a little longer. 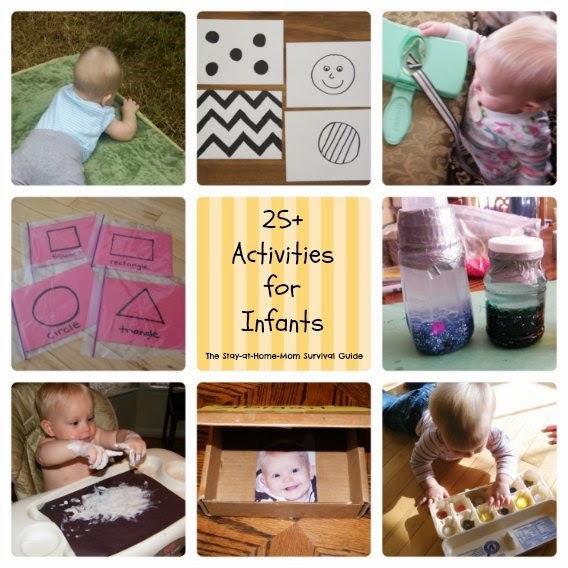 Add a small book or two to flip through as an additional activity. Changing your infant’s position can help as well to change their focus and help them enjoy these activities a little longer. It’s amazing how mesmerized young ones can get with these simple experiences. Nice post! We also love being in the garden listening to the radio and music. I find it relaxes both me and the baby! 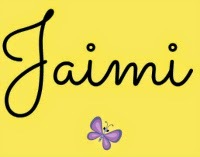 Hi Jaimi, this is a great post. I love spending time outdoor with baby. We did it a lot in the summer. 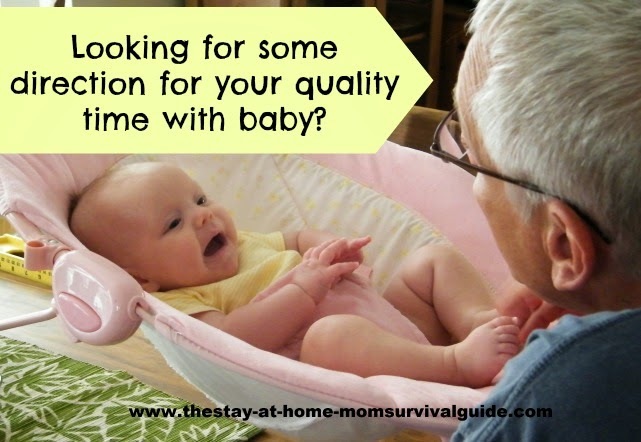 A lot of the time in a baby carrier, which is a great way to bond. But also I cought myslef not talking that much sometimes. Since the little thing does not talk back, it’s easy to forget that the conversation are still important. 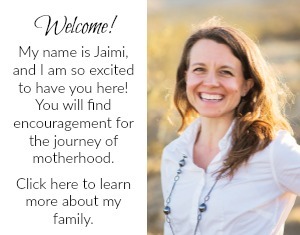 Thank you for a nice reminder about talking and describing everything in detail to the baby, and doing it a lot – this is my valuable takeaway for me here.. Thank you, when I babysit Ill try these! Great post!!! This looks like a lovely spot to lay back and look at the world. Thanks for the post!! If warmer weather ever arrives in cold, snowy (!) Chicago, I'll look forward to trying these! Jacquelyn, I can relate! In VA today we are getting snow even though the trees have started budding. 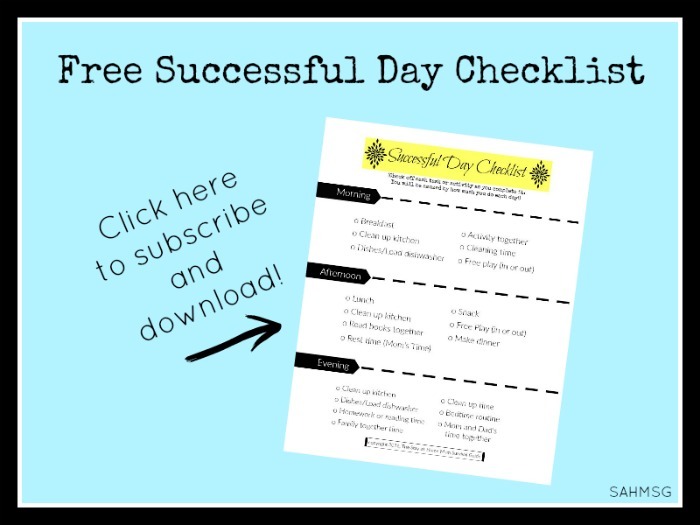 I will be hoping that Spring arrives and stays for both of us soon so you can try these ideas!